Apple's mobile operating system may be in for another quick fix, as it is reportedly testing out an iOS 7.0.3 update on a limited number of phone and tablet owners right now. The company seeded iOS 7.0.3 to employees and partners for final testing, according to BGR. Its release date for everyone else with an Apple device is unknown, but the site has speculated that it could be ready to download by next week. 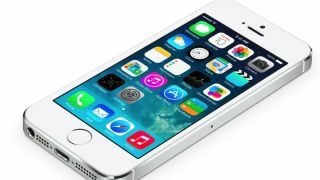 Even more vague than the release date is what iOS 7.0.3 will bring to the recently revamped smartphone and tablet operating system. iOS 7.0.3 would be the third patch that Apple has issued since launching iOS 7 on Sept. 18. With iOS 7.0.1, the company fixed bugs in time for iPhone 5S and iPhone 5C launch day. One of the problems remedied involved a fingerprint sensor glitch that occurred when making an iTunes purchase. The iOS 7.0.2 software update came a week later, fixing a bug that could allow someone to bypass the lockscreen passcode, according to Apple's official release notes. Whether or not iOS 7.0.3 continues the trend of fixing security bugs remains to be seen, but we should find out next week. Maybe. Read our iOS 7 review for our take on Apple's redesign.